The Montreal International Reggae Festival will celebrate its 10th anniversary (we remember the classic inaugural edition) with fan favourites from its first decade and up-and-comers, festival organizers revealed in a partial lineup announcement June 5—as Bernard Perusse reports in this article for The Montreal Gazette. Morgan Heritage, who played the debut fest, returns after a five-year absence to headline the Friday opener on Aug. 16. The Saturday night lineup moves away from roots reggae, with platinum-selling Shaggy headlining Dancehall Night and Mr. Vegas and Kes (The Band) also on the bill. Sunday night is International Night, with veterans Yellowman, Cocoa T and Freddie McGregor presiding. Multimedia and workshops are part of the action this year, the promoters announced. Bob Marley archivist, scholar and superfan Roger Steffens will return with his always fascinating Bob Marley presentation. Journalist, writer and director Helene Lee will present her film Le premier rasta, based on the life of Leonard Percival Howell. Other artists will be announced June 10. 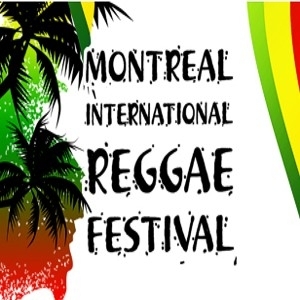 The Montreal International Reggae Festival runs from Aug. 16 to 18 at the Old Port of Montreal. For details on tickets for individual nights and various passes, click here.